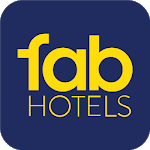 With the FabHotels online hotel booking app, you can book and manage your stay at 500+ FabHotels on the go. When you book budget hotels directly via our hotel app, you get the best hotel deals. We promise Lowest Prices on hotel rooms booked via our online hotel booking app. You can find great hotel deals, cheap hotels and best offers on hotel booking every day and save up to 55% on your work and leisure trips across 50+ cities pan-India. 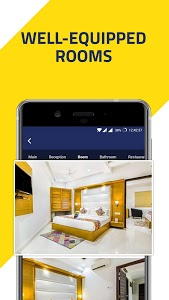 You can find budget hotels in Delhi, Mumbai, Bangalore, Pune, Hyderabad, Chennai, Goa and many more cities with the FabHotels hotel booking app. Trusted by more than 25 lakh travellers: Our 500+ budget hotels are top-rated across Delhi, Mumbai, Bangalore, Pune, Hyderabad, Chennai, Goa and many more cities. Download our hotel app now. Most central locations: All our budget hotels are located at the most convenient locations near to central business districts, airports, railway stations, metro stations, and popular tourist attractions. Wherever you are in the city, you can always find hotels nearby with our online hotel booking app. Well-equipped rooms and courteous staff: All our hotel rooms are comfortable, with clean bathrooms, and equipped with modern amenities like complimentary Wi-Fi, electric kettle, and flat screen TV with satellite channels. All our budget hotels offer wholesome breakfast and complimentary high speed internet to all travellers. 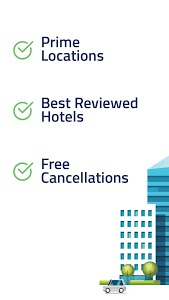 Most preferred budget hotel chain: FabHotels has best customer reviews among all budget hotel chains. StayFab at 500+ budget hotels in our chain. Most value for money budget hotels: Our online hotel booking app provides 500+ cheap hotels at lowest prices. 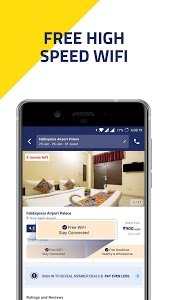 Book a hotel with FabHotels hotel app and rest assured. Metro cities: Book budget hotels and cheap hotels in Bangalore, Delhi, Mumbai, Hyderabad, Chennai, Kolkata and Pune. 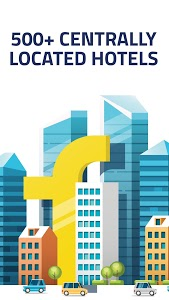 Other business cities: Book budget hotels and cheap hotels in Gurgaon, Noida, Vijayawada, Indore, Bhopal, Chandigarh, Mysore, Kochi, Visakhapatnam, Patna, Coimbatore and Bhubaneswar. Leisure cities: Book budget hotels and cheap hotels in Goa, Ooty, Kodaikanal, Pondicherry, Mahabaleshwar, Rishikesh and Manali. Other leisure cities: Book budget hotels and cheap hotels in Jaipur, Agra and Amritsar. 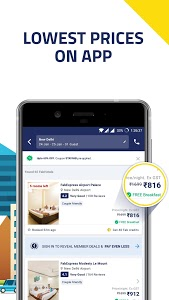 Instant online hotel booking: Because you are always on the go, our room booking app works seamlessly to help you book budget rooms swiftly, with real-time inventory & rates availability. It’s one of the best hotel apps you can find. Find hotels nearby: With ‘Near Me’ feature on our best hotel app, you can quickly find budget hotels nearby. Search filters: Further, you can also narrow down your budget hotel search by using filters based on locality, price, amenities, deals and nearest transportation options. Pay at Hotel option: You also have the choice to pay at the hotel on this online hotel booking app. Don’t worry, your hotel booking is safe with us. Download our best hotel app now. Last-minute budget hotel booking: We understand that instant travel plans can result in the need to book last minute hotels. Fret not, we offer best deals and cheap hotels even at the eleventh hour. 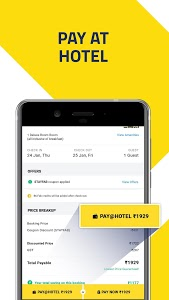 Cheap hotel deals: Our budget hotels app notifies you about all the latest and exclusive offers and discounts on FabHotels. Book cheap rooms on our hotel app. Safe payment modes: Our hotel app offers exhaustive list of payment options for online hotel booking, including credit/debit card, net banking and cash wallets. All payment modes are completely secure and confidential. 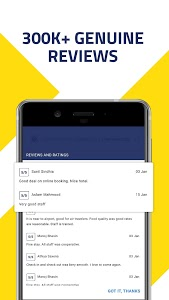 Easy cancellation: Hotel booking on our hotel app is as easy as cancelling it in case of last minute changes in the plan. No fees charged. Absolutely free of cost: Our hotel app is 100% free to download. Similar to "FabHotels: Hotel Booking App, Best Budget Hotels"